7th pay commission: About nine lakh paramilitary forces are expected to be benefitted after the Ministry of Finance (MoF) approval of consideration for the demand of ration money exemption, risk and hardship allowance from taxes. These paramilitary forces include such as CRPF, BSF, CISF, ITBP and SSB. 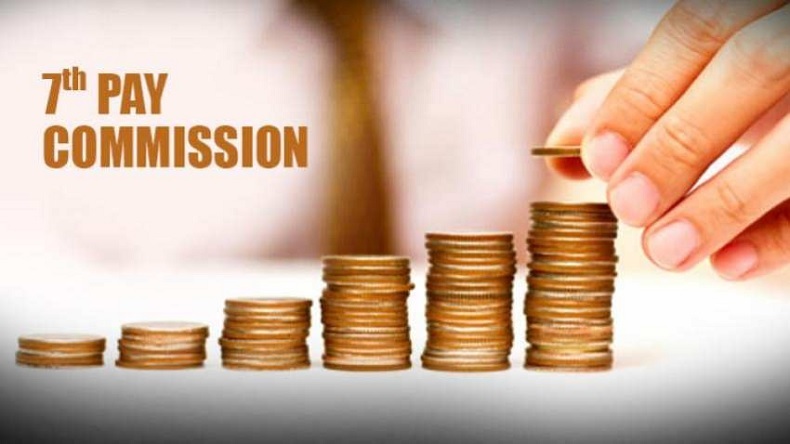 7th pay commission: In a move to benefit army personnel, the Ministry of Finance (MoF) has given a nod to consider the demand of ration money exemption, risk and hardship allowance from taxes. If the new decision comes into effect, about nine lakh personnel of paramilitary forces like CRPF, BSF, CISF, ITBP and SSB, will be benefitted through this. This has come after when the finance ministry wrote a letter to ask the Centre to examine the mentioned demands during ensuring budgetary exercise, as cited by home ministry. Meanwhile, the Central government employees still are waiting for a hike in their minimum pay. They have been demanding a hike in the basic salary from Rs 18,000 to Rs 26,000. Several reports even emerged on the Internet claiming that reportedly, a few steps have already been taken towards the same. However, the matter has been put on hold due to the ongoing Lok Sabha Elections 2019. Recently, as per 7th pay commission recommendations, demands from several departments were doing the rounds for the implementation of the same. Not just that, the Centre has also given a reason to smile to all the state government employees making necessary hikes at regular intervals. In March 2019, the Uttarakhand government also declared a hike in the dearness allowance by 3 per cent. This means it makes it to 12 per cent. The decision will be taken into account to benefit over 2.5 lakh government employees and pensioners. Order will be applicable for January 1, 2019. State government is required to waive off pending water bills as estimated at Rs 70 crore. It is to benefit around 10,000 people who have been rehabilitated at New Tehri due to the construction of the Tehri dam.